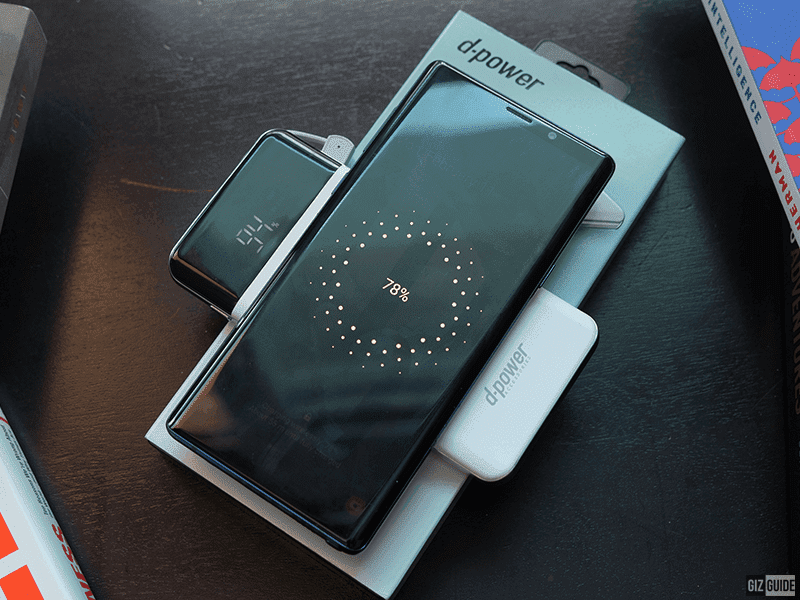 d-power S8+ Review - Affordable ultra slim 10,000mAh power bank with wireless charger! 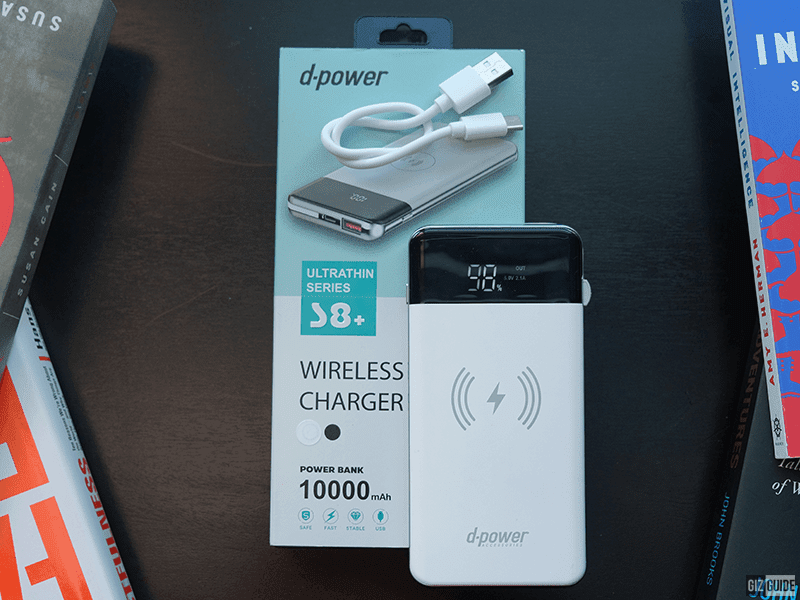 Home / accessories / d-power / reviews / d-power S8+ Review - Affordable ultra slim 10,000mAh power bank with wireless charger! Devices with wireless charging support are increasing and so are the need for them. 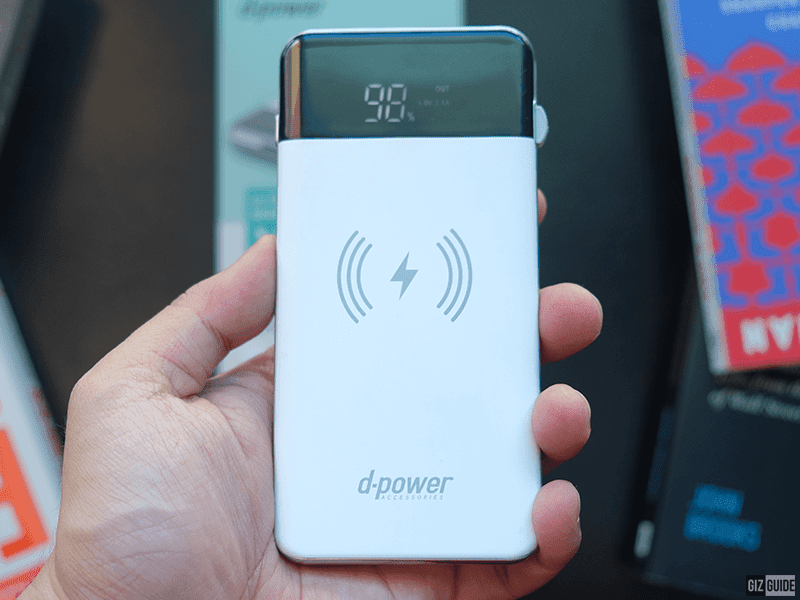 d-power aims to solve this concern with their S8+ wireless power bank! 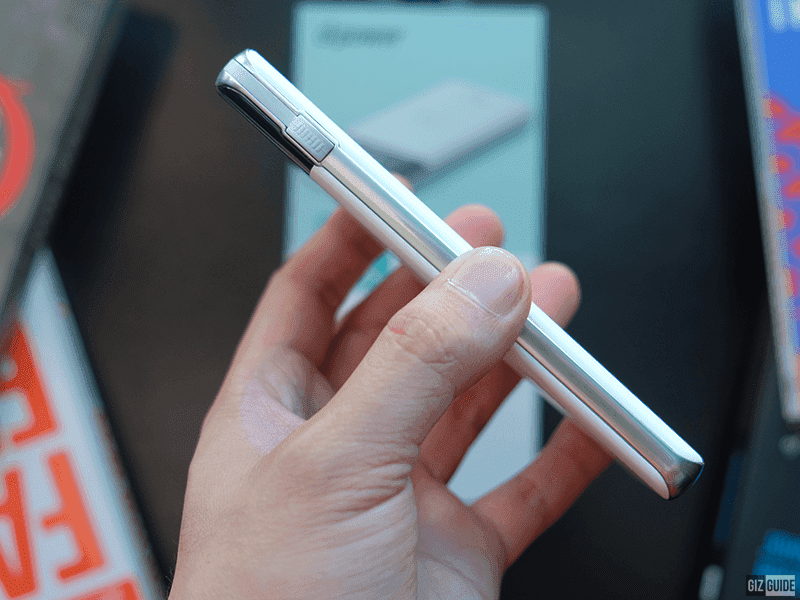 The d-power ultra thin series S8+ 10,000mAh wireless power bank easily fits in most compartments because of its slim profile and is able to charge up to three devices at the same time with both USB Type-A and USB Type-C ports and the built-in lightning port are able to deliver power. The power bank is also able to charge wirelessly at 5V1A. Let's dive deeper into the device! The power bank is packaged in a simple slide out box with an outer cover that contains the branding. Inside the box is the power bank and the USB Type-A to USB Type-C cable. USB-A, USB-C and lightning port! The S8+ is sleek and light weight compared to most 10,000mAh power banks with three output ports. The outer silver frame is made of metal while the rest of the outer shell is made of high quality polycarbonate. The power button on the left side is also made of metal and has a nice and satisfying click and pushback when pressed. The black polycarbonate top houses the LED display that displays the remaining percentage of power charged. It also indicates if there is output power or when it is charging. This includes how much Voltage and Ampere is being put out. Below the black display is the wireless charging area indicated by a lightning bolt with waves around it. 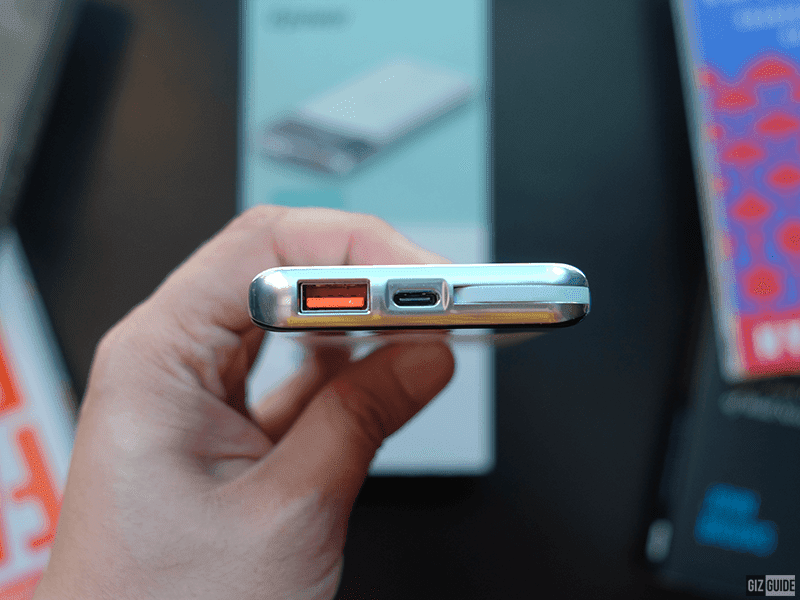 The 10,000mAh can charge our Samsung Galaxy Note9's 4,000mAh more than 2 times via the USB-A, USB-C ports and via wireless charging. It supports Samsung's Adaptive fast charging, Huawei's Super Charging, Qualcomms Quick Charge 3.0 and Power Delivery 3.0. If you have a wire that support these standards for charging, it will charge at its fastest. Complete with fast charging standards! Our Note9 took around 90 minutes to charge from 0 to 100 percent while our Mate 20 Pro's 4,200mAh battery took under 75 minutes because of the support for Huawei's Super Charge. It isn't as fast as using the power brick that comes with the Mate 20 Pro in the box. You are also able to charge up to 4 devices at once via the USB Type-A, Type-C, lightning port and the wireless charging. We do not recommend it though because it drains the power bank quickly. The LED display displays the remaining charge along with the output and whether or not the output is Quick Charge or not. The power bank takes three hours to charge from 0 to 100 percent depending on the cable and power plug you use to charge the d-power S8+. 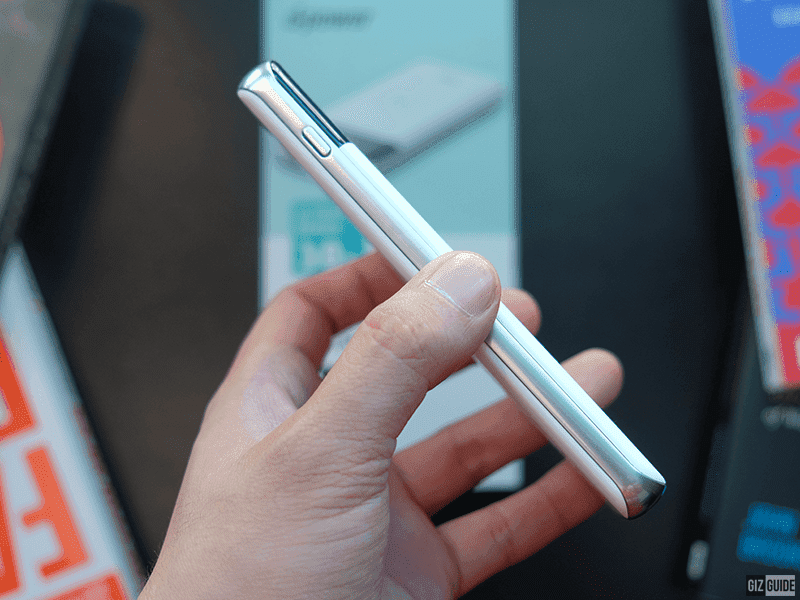 For PHP 1,499, the d-power S8+ ultra thin series 10,000mAh wireless charging power bank is one of the best value and best performing power bank in the Philippine market today. It supports multiple Fast Charging standard while being able to charge up to 3 devices simultaneously. It even has wireless charging support! And it does it all in a slim package! See also: Thailand's d-power affordable mobile accessories arrives in the Philippines!